I just finished writing a 5000 word blog post about a dish that no one eats anymore. I didn’t plan to write that many words, but the dish, spaghetti alla carbonara, turned out to have a fascinating history and a disputed provenance. I just kept writing until I felt I had told the story. I didn’t consider my audience, or where it might get published, I just wrote what I found to be interesting. I can assure you, I would not have invested as much time and effort in a 5000 word blog post if I didn’t love doing it. I don’t make a living writing about food. I’m very fortunate to have the time to do it as an avocation. Undoubtedly one of the greatest jobs in the world is to write about food and make a living at it, but lately some of my professional colleagues lament that the job has become tedious and formulaic. 10 posts a week! 500 words each! Barbecue! Burgers! Donuts! Pageviews! Still, I realize there are a few hearty souls who will happily plow through thousands of words I might write about an obscure Italian pasta dish or a regional food like barbecue crabs. Many of them have become my friends, and I do feel an obligation to write honestly, accurately, and passionately if only because that’s what they expect of me. Of course, that’s what I expect of myself, so there’s never a conflict there. One by one, the bloggers have been co-opted by for-profit ventures. And the blogs have changed. Our food blogs have lost the high energy, DIY ethic of 2008 when we all did it solely for the love of food. This blog post raised a few eyebrows, as reflected in the post’s comments. Anyone who was blogging about food in Houston at the time could relate, including me. At the end of the post, he wondered which way the Houston food blogging scene would go. More generic or more idiosyncratic? Regrettably, I think Houston food blogging has remained stagnant since this post was written. Which is unfortunate because the breadth and depth of topics about food in Houston is large and growing. However, with a few notable exceptions, most food blogging in Houston has either stopped entirely or trended toward generic subjects (in my opinion). So here’s my advice for burned-out food bloggers and those who may be thinking about starting a food blog. Sit down in front of your computer with a glass of wine or a cup of coffee, write about what you love, what you’re passionate about, and assume no one’s going to read it. It can be three paragraphs or thirty. And when you’re done, if you like what you wrote and you think others will too, post it to your blog. Don’t worry about pageviews or the number of comments. Four or five dedicated readers who appreciate the thought and effort you put into your blog are worth a thousand readers just passing through. This may all seem antithetical to what you should do to be a successful food writer, but so be it. If someone tells you the future of food writing is generic subjects written in small, bite-sized blurbs, you should immediately start writing long-form blog posts in an idiosyncratic voice about obscure topics. That’s what I did for my carbonara post. I have no idea if anyone is interested in what I wrote, or if anyone will even read it, but I sure had a great time writing it. This entry was posted in Blog Only, Favorites, Food for Thought and tagged blogs, food, writing. Bookmark the permalink. XO, Great post as usual. Wait, you mean the future of food blogging shouldn't be the top 10 food stands in Minute Maid Park or another obviously rewritten press release extolling the virtues of some new burger chain? Please do exactly what you propose in this post. Follow your interests. They're spot on. Your readers will find you. I couldn't agree with you more. The least interesting food blogs to me are the ones with exceptional levels of traffic. Serious Eats. Slashfood. Bleh. They're the USA Today of food blogs. It's the *much* smaller food blogs that are doing interesting things. I'm glad you wrote this. I actually am fascinated by the dish (in the same way I'm fascinated by the idea of emulsion) although I've never actually ever had a GOOD carbonara. I'm inspired to give it another shot. Although there are people who still eat it–it's one of my boyfriend's favorites, apparently. I know what you mean about the blogging aspect of it. I don't consider my blog a "food blog"–it's a "me blog" that happens to talk a lot about food because it's one of the things I'm interested in. The nice part about that is that I don't feel bad if I go too "off-topic" about other stuff. I still wonder now and again if anyone's reading the thing (I think I have a massive 11 regular subscribers) but ultimately I write it for myself, because I have this overwhelming need to talk about things, especially things that excite me, and this is my way of doing so whether I have anyone to listen to or not. And just like I'm the only one eating my food 99% of the time, if I still enjoy it, it's not wasted effort. Of course writing because of passion is better than writing because pf pageviews, but what about time? I love blogging, I wish I could write everyday, but blogging means not spending a hundred per cent effort on my day job, which seriously puts me behind my colleagues. So why should we write if we have to sacrifice our careers in some extent and nobody cares to read? After all, you would always know the stuff you know, whether you write about it or not. P.S. : your carbonara posts are amazing, I've read through them all, and I've never learned so much from a food post! 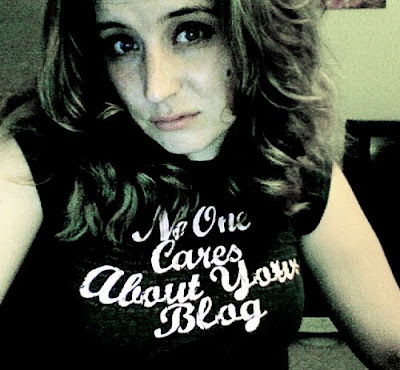 my poor neglected blog… okay, i'll post something next week FOR YOU. you've inspired me, or called me out. not sure which one it is yet. Re: Carbonara piece. Fantastic writing as usual. keep it up, chris. i truly enjoy reading whatever it is that you have to say. Thanks to everyone for the comments! The commoditization of web content is an interesting subject, but also a huge opportunity for those of us who love writing and words and blogging. @Flavor Boulevard – I think the point is, if you are in a position where you feel obligated to do what you otherwise do for fun — either because you are being paid to do it and you have quota to meet, or if you have a day job that takes up alot of time — then it will effect the quality of your work. In your case, I would hope you have a few precious hours of leisure time per week. In this case, if you choose to spend that time blogging, try to remember it is fun and leisure, and don't put pressure on yourself to "hurry up have fun"! I never tire in assisting in the publishing of the Culinary Institute LeNotre Blog. Though it can be a bit of pressure on the timing – keep on blogging! I care about your food blog. Ha, great post! I found your blog trying to find a website for the new Cafe Shoppe in the Kim Hung Mall, where I had lunch today.